Live from TenMarks! Happy Teacher Appreciation Month! From Kabila Williams, Senior Curriculum Developer, Assessments, TenMarks: "Mr. Alsup and Professor Robinson were both very patient and knowledgeable. They challenged me to be better in class and were always quick to offer help and/or advice when needed. They truly cared about their students and it showed." This exercise has brought so much joy to our kitchen! By displaying these answers on the kitchen wall, we are all able to reflect on the amazing impact that teachers have had on so many lives. Throughout the month, we will be posting an interview with a teacher to showcase some of the amazing teachers we work with. 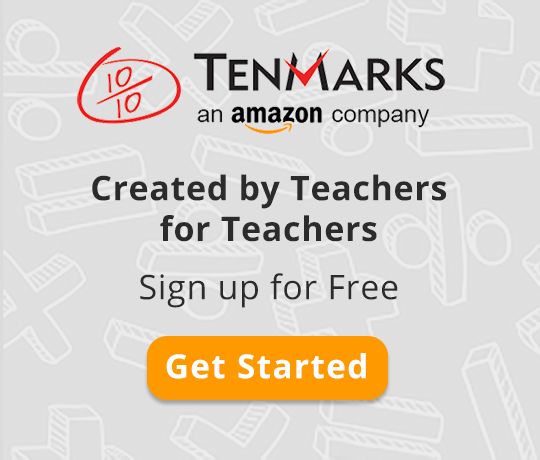 Check back in with the TenMarks Blog throughout the month to read about a few of the fantastic TenMarks Math teachers we have the pleasure to work with from all over the country. Who inspires you? Share with us on our TenMarks teacher community on Facebook or Twitter. As always, TenMarks Ts, we appreciate you. Thanks for all you do to support your students!